The term ‘meal plan’ is often thought of as something you do when you are trying to restrict your eating in some way. However, that’s not the case. 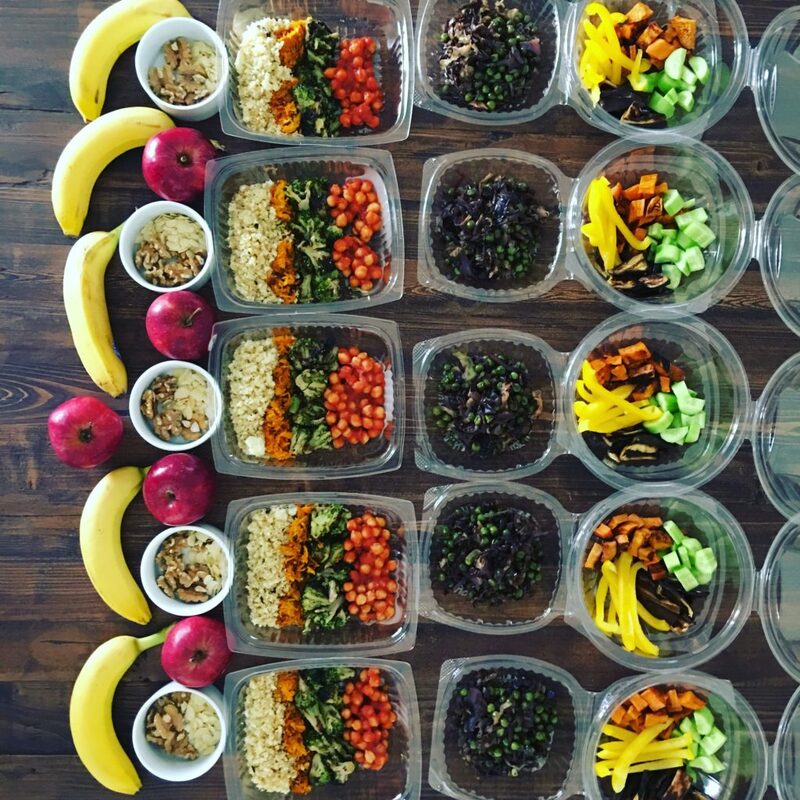 You can meal plan all the time, any time. 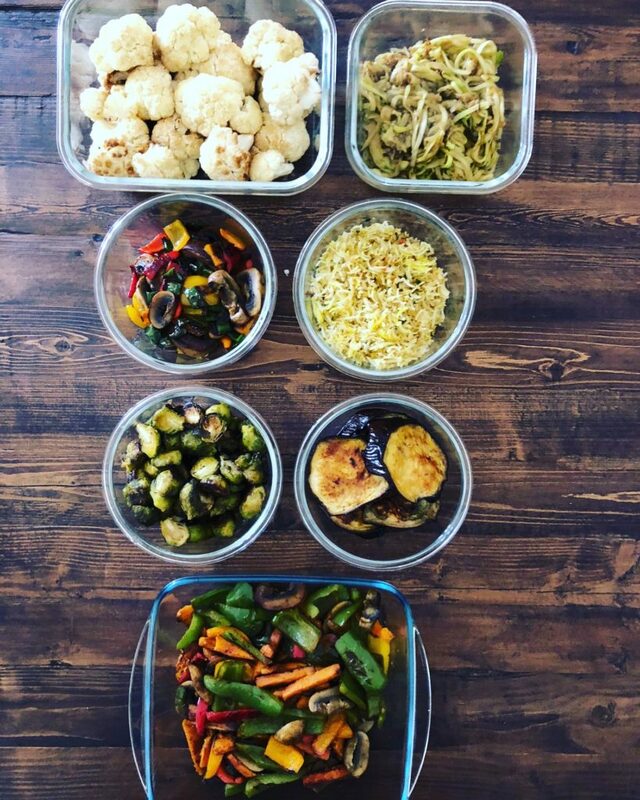 When you’re first getting started, planning your meals and getting your food prep and cooking done can take a bit of time. However, as you keep at it, you’ll find that it starts to become part of your routine. Here are a few things I do/have done to help make planning and prepping a little less stressful, particularly when it comes time to get my house ready for the Whole Life Challenge. 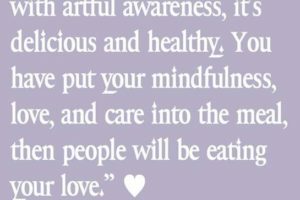 The first step is to be mindful of (this might sound silly) the fact that you will be eating. Whether it’s a grab and go packed lunch, a snack, or a sit down dinner, you will be eating. Too often we’re in a rush or distracted when we’re eating. Yes, good company and good times does make a meal and sometimes it feels great to just veg out in front of the TV and chill. Everything is ok – just be mindful of what you’re doing so that you can fully enjoy the experience. Taking a moment to acknowledge and appreciate that what you eat has a direct impact on your energy, your mood, and your overall health can help you make better choices. It’s not about restriction; it’s about being conscious of how we are choosing to nourish our body. Decide why you are taking this time to be more proactive with your planning and preparing. Do you have a particular goal? In relation to the Whole Life Challenge, keep your overall goal in mind when you decide what level you want to play at; choose a level that is somewhat challenging but is also sustainable. Decide if there’s anything you will not compromise. This will be different for different people. There is no need to feel guilty about your choice. Just know your bottom line and work up from there. Decide what times you want to eat. These don’t have to be absolute specific times; however, if you have a general idea, then it minimizes the temptation to graze. So often snacking is done out of boredom or mindlessness. Giving yourself a rough framework of when you’ll be eating can help eliminate general grazing and help you focus on eating more nourishing meals. Compile a ‘hate’ list. Decide what are foods that you absolutely will not eat. If you live with others, write down their choices as well. I’ve found that this makes food shopping a lot easier. 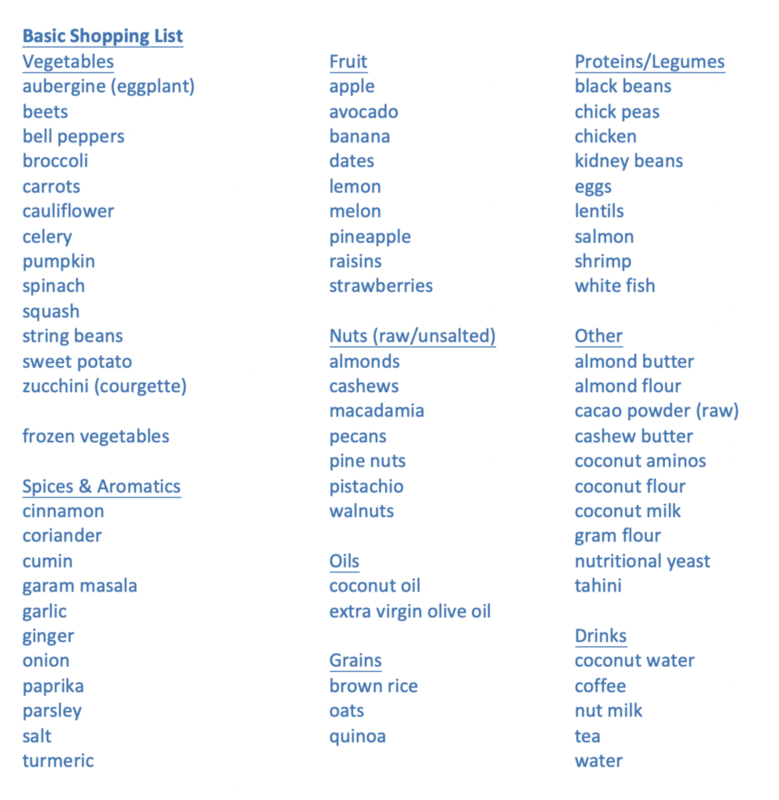 Sometimes, if I am in a rush or I’ve forgotten my grocery list, having this list in mind makes shopping easier since I know that as long as I don’t buy these foods I will be ok with whatever I pick up and I can create a meal from there. My hate list is actually relatively small; however, I do have an allergy list I need to abide by: no peas, corn, dairy, wheat, almonds, or sunflower seeds. My husband’s hate list is: cucumbers, cabbage, beets, celery, broccoli, and Brussels sprouts. A bit of time organizing can go a long way. Here are a few tips. First things first, if you’ve got a specific plan you want to follow, print out the guidelines (like I have my allergy list). 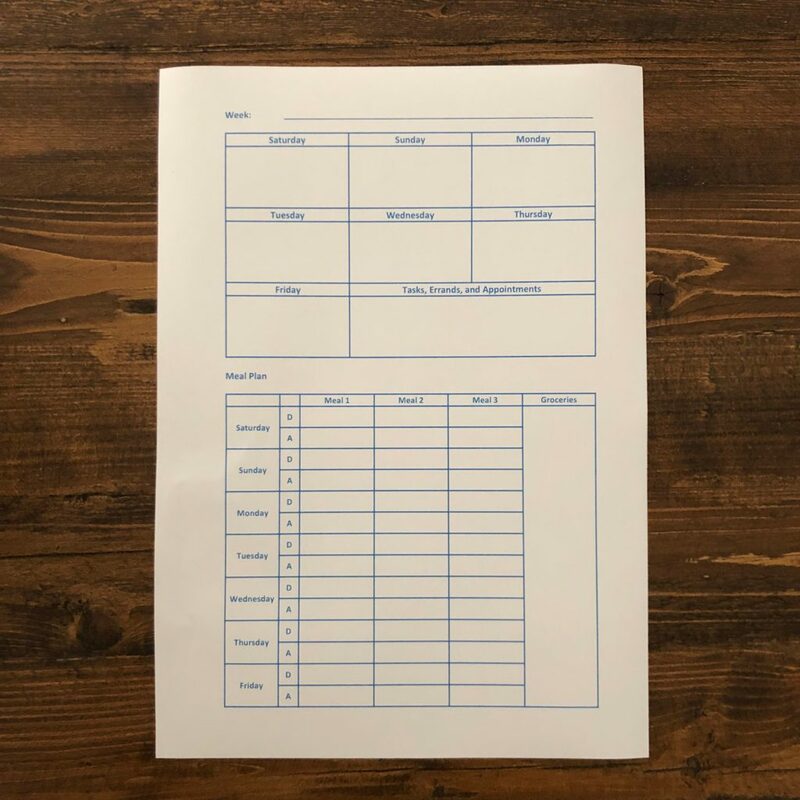 For the Whole Life Challenge, print out the relevant WLC nutrition list. Keep it with you so that you have it on hand when you go grocery shopping. Go through you fridge + kitchen cupboards. Get rid of foods you are choosing not to eat, particularly ones that you find very tempting or will lure you into habits that you are trying to break. Personally, not having snacks in the house is the best strategy for me. If there are others in the house who eat differently, talk to them. Come up with a plan that works for all of you. Make a staple grocery/pantry list. I like having a ‘master’ list of ingredients – things I like to have in my pantry + list of ingredients I can mix and match. I usually plan my meals off of this list. Once I decide what I want to cook that week, I write down my specific grocery list. Make it part of your schedule. When you set aside a dedicated time each week for your planning and prep, it becomes part of your routine. Once it’s embedded in your routine, it’s much, much easier to sustain. You don’t have to spend a lot of time – you just have to be consistent. Be efficient with your efforts. 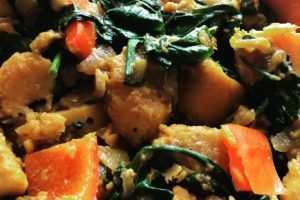 I have spent countless hours browsing through cookbooks and websites for all sorts of meals. Although I love to cook and experiment, I came to realize that it wasn’t something I could do each week. Instead, I learned to streamline everything. Keep your meals simple. You don’t need fancy cooking methods and loads of ingredients to make a good meal. Instead, focus on buying quality ingredients and enjoy the taste. One other thing I did to further simplify my week – every Sunday (the first day of our work week here), we have the same thing for dinner. It’s one meal that I do not need to plan for at all. Having one meal anchored in our routine really helps, particularly since it’s the first day of the week. It helps make the start of the week a lot smoother. 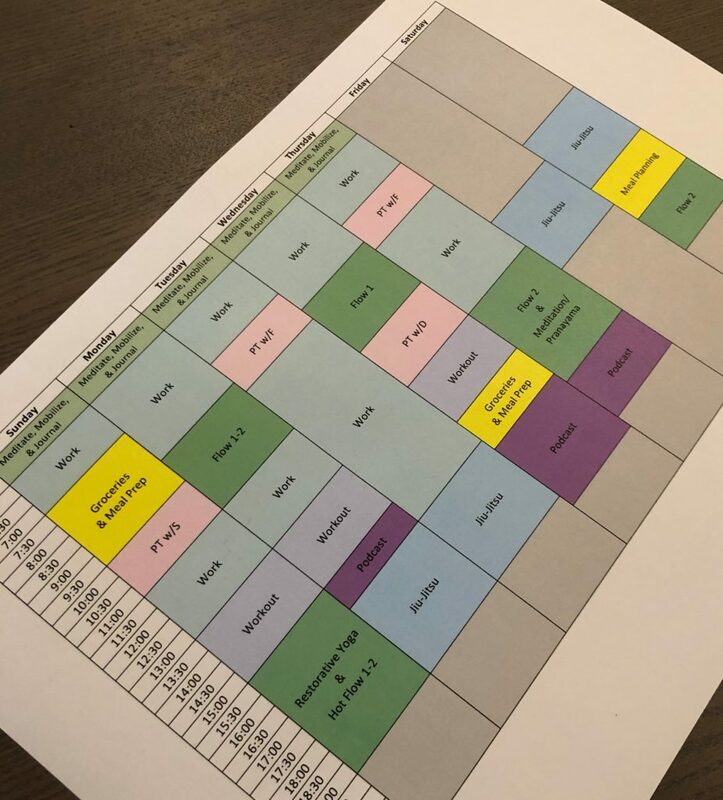 Plan your meals based on your schedule. There’s no point planning meals that you just won’t have the time or energy to execute. Take a look at the week ahead – what do you have planned? Do you have a work lunch? Dinner out with friends? Late nights? Plan accordingly. Explore short cuts. Are there restaurants that deliver healthy foods? Does your supermarket offer prepared vegetables or other freshly cooked foods? See what time-saving options there are and use them. Cook in batches. Ideally, I would make a fresh meal each night. It’s just not going to happen. I actually eat the same breakfast, lunch, and dinner throughout the work week. It works for me. My husband is not so keen. Still, I batch cook. Twice a week I will cook enough so that the meal lasts for two nights. That way, during the work week, I only need to cook 3 times. Think ahead. When cooking foods that freeze well (e.g. soup or chilli), double the amount so that you can portion off and freeze the extras to have on hand for those days when you just couldn’t get around the making something. I created this chart to help me plan my meals. I start by writing down my schedule for the week and then plan accordingly. 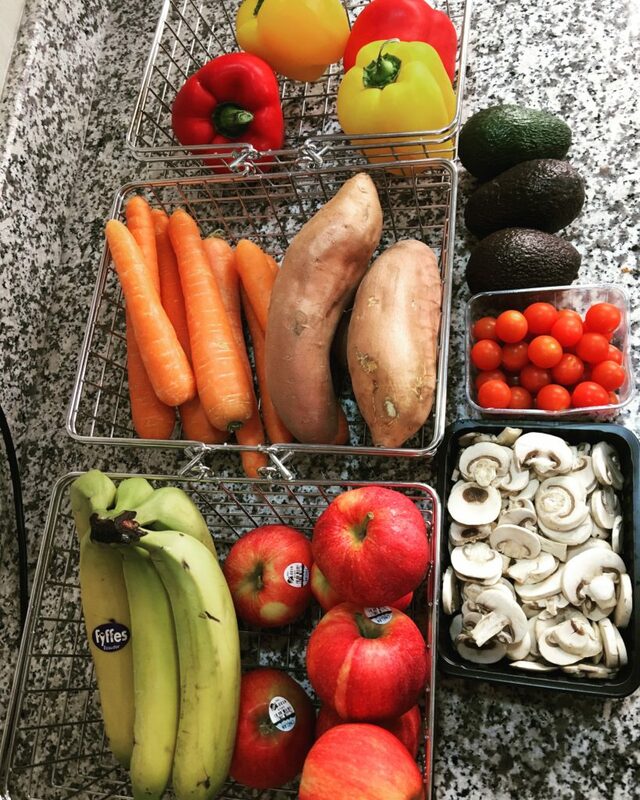 My husband and I eat differently (me vegan & him omnivore), so I have two different slots for our meals. When writing my grocery list, I write down only what I need to prepare the written meals. This reduces waste and makes sure I stick to my plan. The bottom line is that you have to do what works for you. Sometimes it can be tedious and really feel like a chore, but making it part of your weekly routine does help. Again, keep things simple and enjoy your food! The nutrition aspect of the Whole Life Challenge can be tricky to navigate; however, it does get easier with practice. If you are looking for a supportive team to play with, then join the Worldwide Warriors. I’d love to have you on the team. You can join us via this link or click on the banner below.